You are very welcome to contribute to this blog. Let us know more about you. Hello, I’m from Romania, too, our school (School no. 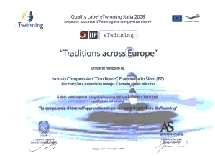 92 in Bucharest) is already involved in an etwinning project and we also have a chapter about traditions. Since it’s a topic I’m very fond of, I’d like to contribute to your blog, too, if I may. You are very welcome to contribute! Just write us at traditionsacrosseurope@gmail.com and we will discuss the details. I’ve already replied to your e-mail. You are more than welcome to contribute to this blog. Our aim is to make it an intercultural space where people from all over the world can post materials about their traditions and discuss them. I want to let you know a very important think for everyone: our English partner, Philip Johnson, was awarded with the Quality Label for this project! I suppose he’s the first one! Wow, congrats, Philip! That’s really wonderful! I want to encourage all our partners to apply for the Quality Label. I will do the same next week. I’m a county school inspector for formal and non formal education at The County School Ispectorate, from Arad, in the West part of Romania.I’m also a teacher, by education and training. I’ve noticed your activities and I’m very interested in keepig and promoting national traditions, a fact that is the most relevant for us as nations.In this respect, I’d like to contribute to global education stability by old traditions.I’d like ,as well, to contribute, if possible, to your blog. Thank you for your message. 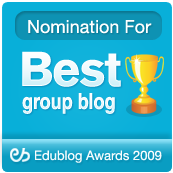 You are very welcome to contribute to our blog. I am glad that people like you are interested in our project. I will send you an invitation to our blog, but I need your e-mail address for that. Can you send it to us at traditionsacrosseurope@gmail.com, please? E o bucurie sa va avem alaturi. We have a new partner school in our project and at the same time another country represented in the project. The name of the new teacher is Nihan Kandiş and he is a representative of Üzümlü Şehit Mehmet Primary School from Beysehir, region Konya (Turkey). Welcome, Nihan! You will find an online classroom and family as here. I hope this project will be as rewarding for you as it has been for all of us. Welcome Nihan! We’re happy to have you with us! Surely you’ll enjoy this adventure just like all of us! Hi, I stumbled upon this blog when looking for European traditions. A great initiative! To gather here a lot of European traditions, I think you are the first to initiate it.